Ownership / Access: Company HQ. 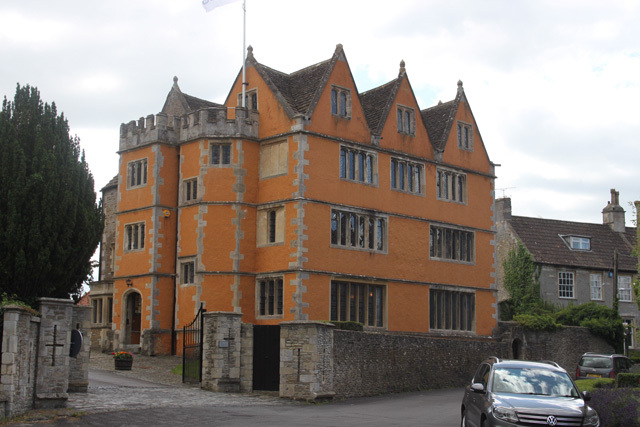 Notes: Beckington Castle is a historic house in the village of Beckington, Somerset, England. It is a Grade II listed building. It was built in the early 17th century on the site of a medieval building. It has been home to various nobility and local businessmen, also serving as a hotel and school. It is now used as offices. In 1989, the Castle, which was in poor condition, and grounds were purchased by Systems Engineering & Assessment Ltd (SEA), which provides technical and procurement support to the Ministry of Defence. Between 1995 and 1996 Beckington Castle was restored by SEA as their headquarters, in co-operation with Mendip Council and English Heritage.